To normalize the activity of the gastrointestinal tract and restore metabolism. It is recommended for gastroenterological diseases and as an auxiliary for metabolic disorders - lipid, carbohydrate, with iodine deficiency. It is also recommended to eliminate the consequences of radio and chemotherapy and to find a person in environmentally hazardous conditions. 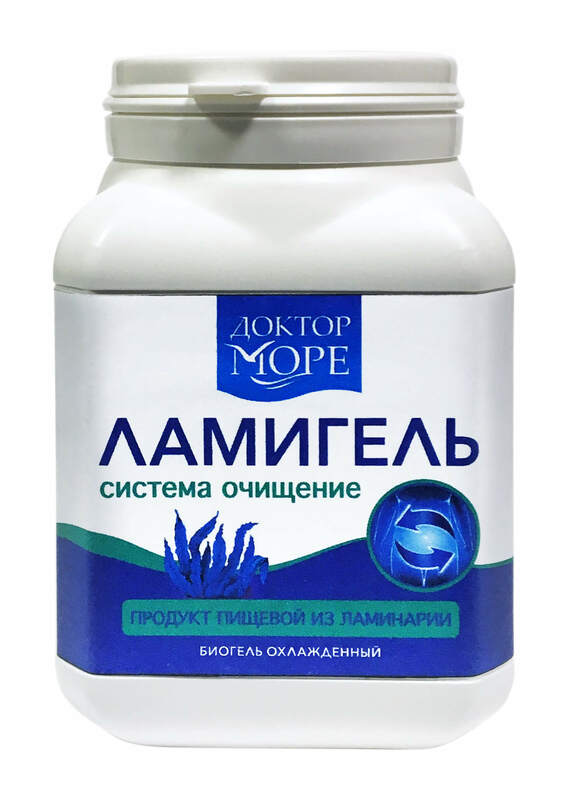 LAMIGEL possesses enveloping, anti-inflammatory, antispasmodic properties, which plays a positive role in restoring the gastrointestinal tract in such diseases as gastritis and peptic ulcer of the stomach and duodenum. It accelerates the processes of regeneration of the gastrointestinal mucosa, has a laxative effect, reduces the aggressive activity of the stomach environment, is characterized by antibacterial activity. Enterosorbent heavy metals and radioisotopes. Unlike other sorbents, alginates bind in the human body toxic metals without disturbing the calcium metabolism. Under the influence of sodium alginate, a physiological type of mercury release is formed, which excludes the possibility of a "mercury collapse" and secondary damage to the urinary tract. The source of insoluble dietary fiber. It is recommended for metabolic disorders - lipid, carbohydrate. Replenishment of iodine deficiency in the body and prevention of thyroid diseases contains all the necessary components for eliminating iodine deficiency in the body (iodine, trace elements and amino acids involved in the synthesis of thyroid hormones). Comparative studies on the evaluation of the properties of various sorbents showed that the sorption capacity of sodium alginates is higher than that of activated carbon, microcrystalline cellulose, polyphepan, copula, enterosorb, highly esterified pectin and chitosan derivatives, by 3-10 or more times. Ламинария. Подводные леса и их секреты. Method of use: Use paste in its natural form in 1 tbsp. spoon 1-3 times a day for 30 minutes before meals or diluted to a consistency of jelly with the addition of honey, sugar, fruit syrup. Contraindications: individual sensitivity to the product, intolerance to natural iodine. Shelf life: 6 months. Store at temperatures up to 10 ° C. After opening the package-store in the refrigerator for no more than 7 days. When defrosting and freezing, the properties of the biogel are not lost. Gel-mask cosmetic series "Balsam of the ocean"